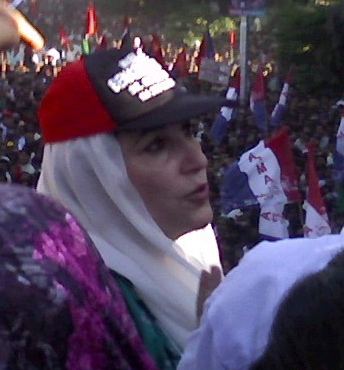 Benazir Bhutto’s assassination on this day two years ago was utterly devastating for many of us. Here is the link to a piece I wrote for IPS just before she returned to Pakistan. On Oct 18, 2007, Absar Alam and I were both at the Geo TV studios in Karachi. We hopped onto a motorbike and headed for the airport, a cameraman and assistant on another motorbike. Absar managed to get us onto the truck on which Benazir was riding. See photos taken with my cell phone at this web album. Absar scooped a brief interview of her – her first to a Pakistani journalist on home soil since her exile – broadcast on Geo shortly afterwards. Even those who had been her sternest critics over the years were unable to stem the tide of grief that hit them on learning of her death. I wrote this article after her murder – I was in Lahore, on my own at a friend’s house and it was an incredibly difficult piece to write, in between breaking down, monitoring the television, and calling people for quotes and information. This is not to suggest that corruption should be condoned or excused, but it is important to get some perspective on the issue. Extract: “…the issue before the Supreme Court was not an amendment to the constitution that would have attracted the basic features theory. The issue before it was an ordinary presidential ordinance. And for laws and ordinances that conflict with the constitution clear remedies are available. “By invoking Article 227 in the present case the Supreme Court seems to have put Islamic injunctions in command of the whole constitution. Quite a few lawyers argue that this amounts to overruling the court’s judgments in the Hakim Khan (1992) and Kaneez Fatima (1993) cases. Working together for an end to intolerance, violence, injustice. and equal opportunities for all. Citizens across the nation come together on the first day of 2010 to usher in a decade of peace, justice, equity and tolerance. More than a hundred organisations across Pakistan including the youth, students, concerned citizens, media, lawyers, labour, NGO’s and academics come together to express their resolve to struggle for the right to ‘a life of dignity’. Join us…. for neither can we afford the luxury of indifference nor a lack of expression of the values that we hold so close to our hearts. Let our resolve find expression. We are one and we are all equals.Solidarity Day marks the beginning of a journey of building trust between citizens and the strengthening of democratic values and institutions. There are conferences and there are conferences. Some organisers lure participants with travel and daily allowances and fancy hotels at exotic locales. Others rely on goodwill and commitment. If it’s the latter, it helps to be located in an exotic place anyway — like Kathmandu. It also helps if the organisers are professional colleagues for whom you have the highest regard. These last two factors contribute to my ‘favourite’ conference being one that took place in Kathmandu in early 1996. The man behind it was Kanak Mani Dixit, whom I had met at an earlier South Asia conference about water resources organised by Panos some years ago. 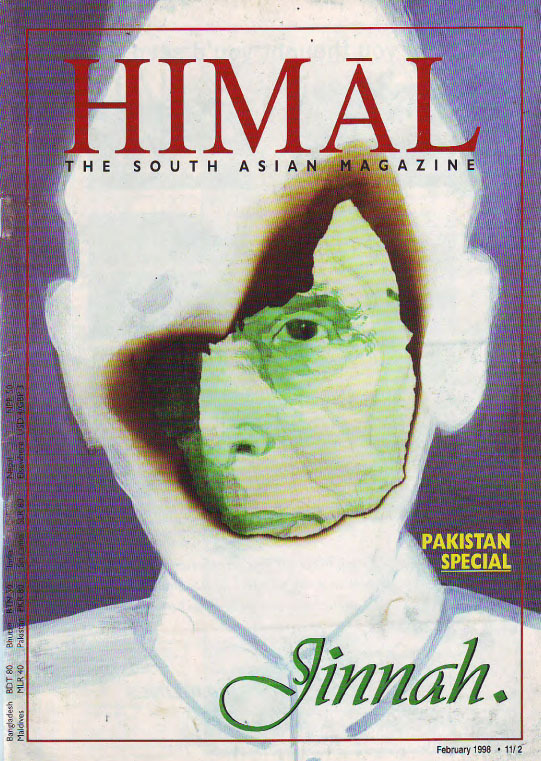 Kanak had decided to turn his ‘mountain magazine’ Himal into a Southasian venture (there is a reason Himalers write ‘Southasian’ as one word – for an explanation see the published magazine or the Himal Southasian website. “Over the past three decades, in the shadow of hostile nationalisms fuelled by radical Islamic and Hindu politics, military crises, a runaway arms race, nuclear weapons and war, an amazing set of civil society initiatives has been taking root in India and Pakistan. A citizens diplomacy movement embracing thousands of activists, scholars, business people and retired government officials has emerged in an unprecedented effort to build national and cross-border networks for peace and cooperation between the two countries. There must and should be accountability, but selective accountability, and cases filed motivated by political victimisation do not serve the cause of justice. – NRO is unconstitutional but the Oct 1999 military coup was constitutional because Supreme Court approved it, and so was the LFO (legal framework order) of 2002? – The murder of Zulfiqar Ali Bhutto was constitutional because SC approved it? – Hudood Ordinances & 8th Amendment were constitutional? – Provisional Constitution Order (PCO) on which the current CJ took oath was constitutional? – No larger bench discussed violation of Article 6 of Mehran Bank scandal (in which ISI allegedly gave funds to IJI for the 1990 elections). 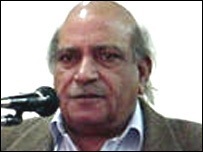 – Why has there been no judicial inquiry into Rs 94 billion Mulk Sanwaro Qarz Utaro scheme? Lahore’s lawyers have surely won the point on the illegality of the Musharraf-Bhutto deal, which gave special protection to Benazir and her husband from the many previous charges of corruption. But they might be losing the larger struggle for establishing the civilian primacy over the military in Pakistan, as the nation’s latest experiment with democracy begins to unravel.